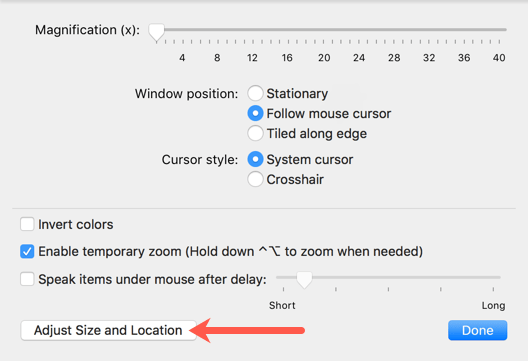 If you own a Mac and do software demonstrations or do presentations for people, you might want to learn this nifty trick for enabling a magnifying glass that can follow your cursor. 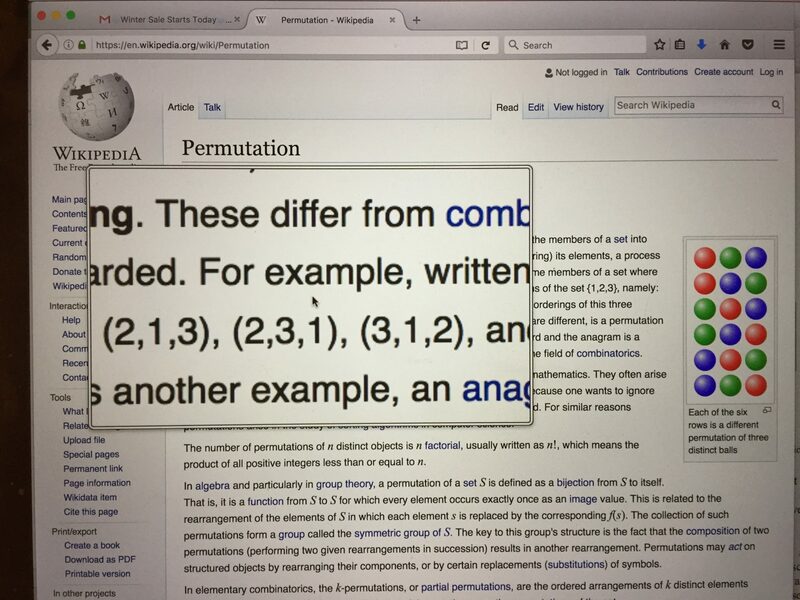 It’s incredibly useful when you need to magnify just a small section of the screen for a brief moment (magnify the URL, the icon you’re clicking on, the code you’re examining). 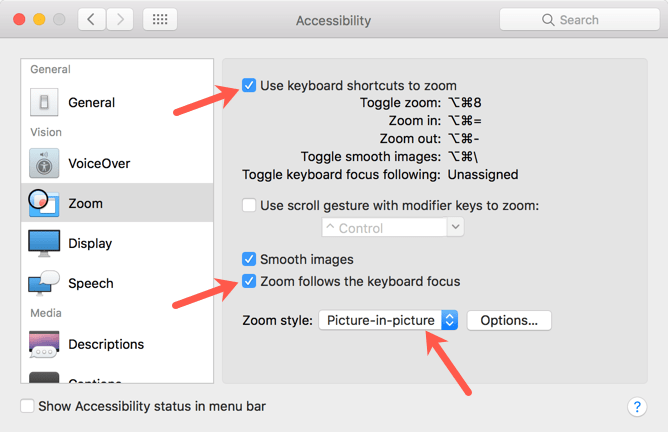 To the right of “Zoom Style” click on the “Options” button. Click on the “Adjust Size and Location” button. Drag the edges of the example magnifying box that appears until the box is the size you want. Then click OK in the center. 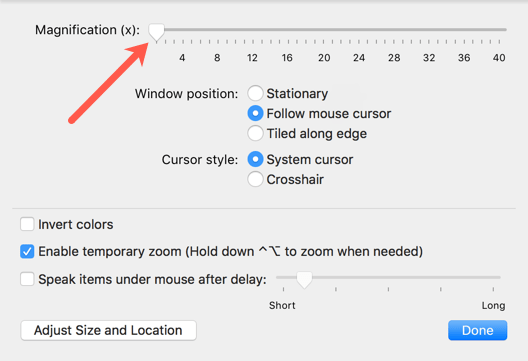 Drag the slider next to “Magnification” to the desired power. Press Cmd-Opt-8 to turn it on (it will follow your cursor). Press Cmd-Opt-8 to turn it off. Maybe you prefer your tutorials in video form, in which case, here you go!